Wondering how to hard boil an egg? We’ve got you covered! 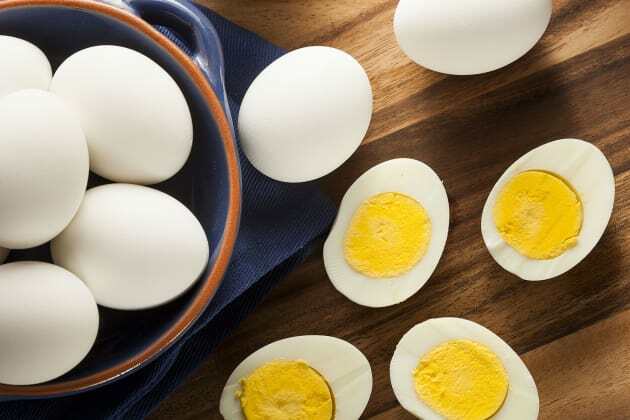 If you can boil an egg, you’ve got the answer to a protein-filled breakfast, lunch or even dinner. I love to boil a dozen eggs and keep them in the fridge for my family to enjoy throughout the week on salads, with toast for breakfast or mixed into potato salad. Meal prep for the win! Here’s what you need to know. 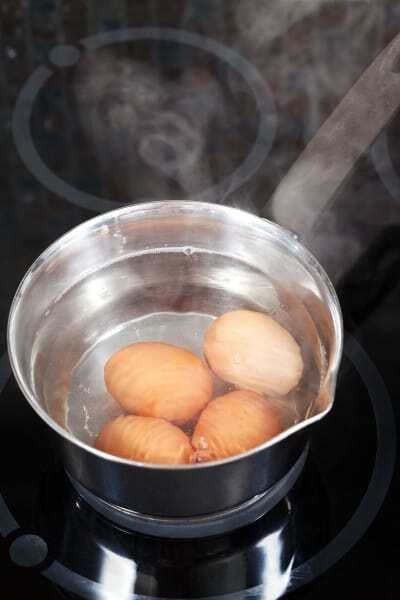 Place your eggs in the bottom of a pot in a single layer and cover with cold water, until there’s an inch of water above the eggs. Cook uncovered, over medium-high heat on your stove, until the water comes to a rolling boil. Turn off the heat, cover the pot, and let your eggs sit for 12-15 minutes, depending on their size. At high altitude, let the eggs sit for 20 minutes. Using a slotted spoon, remove the eggs to a colander and run cold water over them to stop the cooking. Tap, roll, peel: Tap your egg on the counter to crack the shell all over. Roll the egg under your palm on the countertop. Start peeling from the large end. Spoon it: Tap the bottom of the hard-boiled egg on the counter and peel away a bit of the shell where it’s cracked. Take a teaspoon and gently slide the back of it under the egg’s shell, trying to get under the thin skin. Use the spoon to peel off the shell as you rotate the egg. 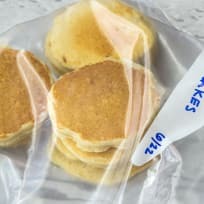 Crack, roll, submerge: Crack your egg and roll it on the counter. 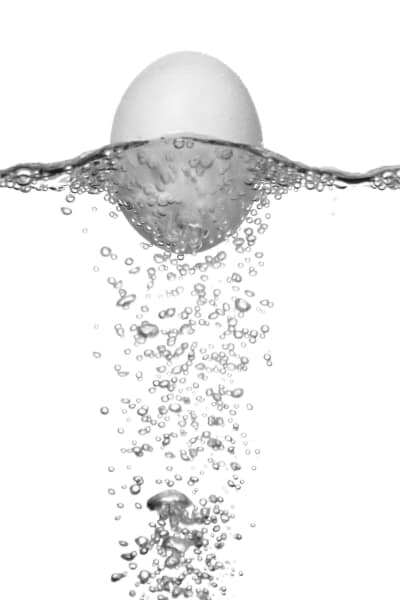 Submerge the egg in cold water while you peel it. Submerge, cover and shake: Add water to a pot or plastic container. Place your eggs inside and cover with a lid. Shake the pot or container. If you prefer runny egg yolks instead of firm ones, you can soft-boil your eggs. The whites will be fully cooked and firm, but you can still dip your toast in that yolk! 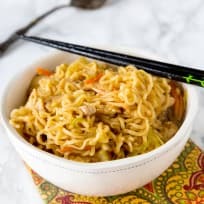 Bring a few inches of water to a boil in a pot over medium high heat. Lower the heat to a simmer. Carefully add your eggs to the simmering pot. Boil the eggs for 5-6 minutes. Remove the eggs with a slotted spoon and place them in a bowl of ice water to cool off. Either peel the eggs or just slice off the tops, so you can dip your toast inside. 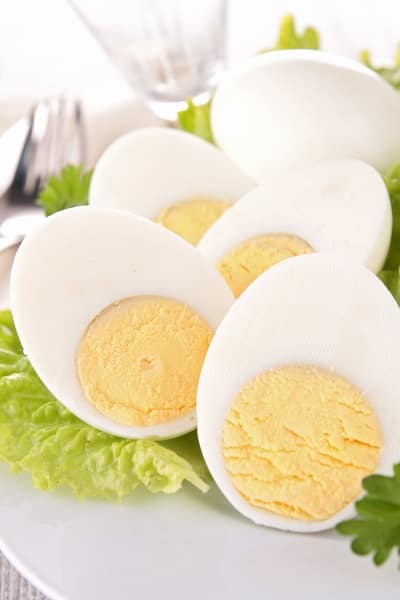 Store soft-boiled eggs in the refrigerator for up to four days. Hard-boiled eggs must be refrigerated within a couple hours after making them. 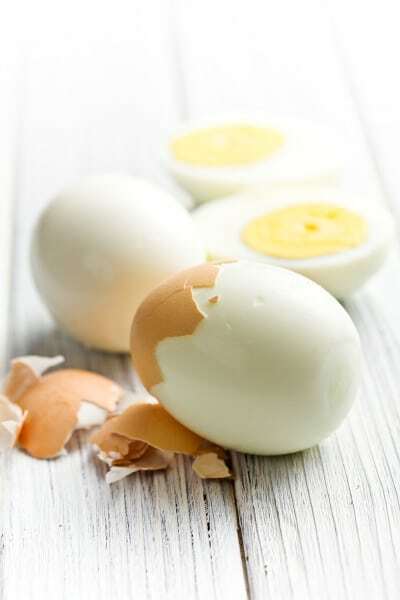 Hard-boiled eggs can be stored in the refrigerator for up to a week. It’s best to keep the shells on and store the eggs in a covered container, so you don’t have to smell their odor every time you open your fridge. If your eggs are peeled, submerge them in a bowl of cold water and refrigerate them for up to a week, changing the water daily. Easter eggs – Check out this Homemade Easter Egg Dye! Cobb salad – How about a Cobb Salad Wrap? 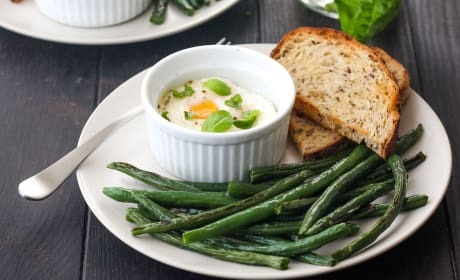 Baked eggs and green beans are the perfect way to start your day. With the help of your toaster oven, this healthy breakfast cooks up in just 20 minutes! 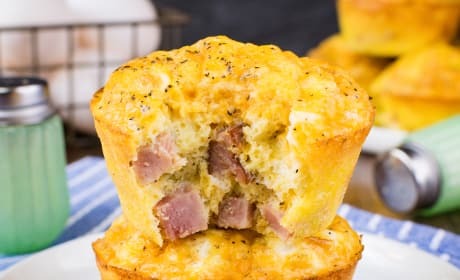 Keep a batch of these Baked Ham and Cheese Egg Muffins in your freezer for a healthy breakfast on busy mornings. 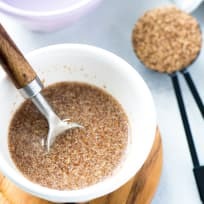 These low carb/keto-friendly muffins are easy to make and taste delicious. 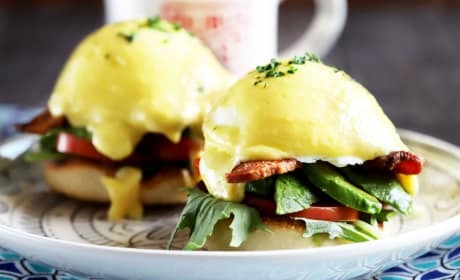 A plate full of BLAT Eggs Benedict is the one wake up call no one is going to want to miss. It's brunch time, y'all! 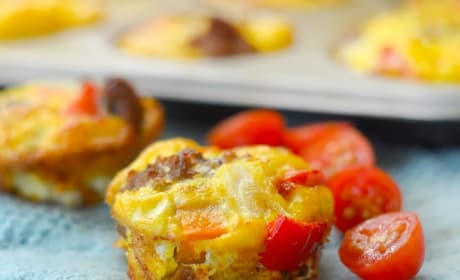 Gluten Free Sweet Potato & Sausage Egg Cups are a quick, on-the-go breakfast that everyone will love. 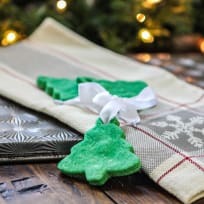 They’re great for busy commutes! 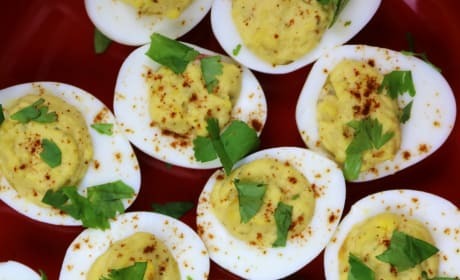 Deviled Eggs with Yellow Lentil Hummus are an excellent twist on the game day classic. Take it up a notch! 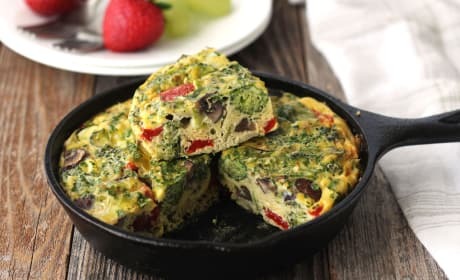 This toaster oven frittata is stuffed full of veggies, high in protein and tastes so darn good you’ll want to eat it all day, every day. Sized to fit your little toaster oven it makes a tasty Sunday brunch for two.